U-Turn now offers a stylish solution to act contrary to packing problems. The light COMPBAG is not only protecting the equipment, but also reduces the pack size very efficiently. The convenient bag was designed for harnesses as well as for the use as inner bag for gliders. The content is compressed by closing the two solid zippers on the sides. Double side zip sliders and a flap on the bottom end simplify the closing through little resistance. The COMPBAG is combining design and functionality in compressed form. The bag is made out of tear proof light material, strengthened seams are providing additional strength on the particularly strained places. On the bottom end netting valves are providing a balance of the ram pressure and an optimized aeration of the equipment. Especially effective is the bag with harnesses that have a foam protector, for example the allround harness RX3 because of the high compressibility of the foam protector, the pack size can be reduced significantly. 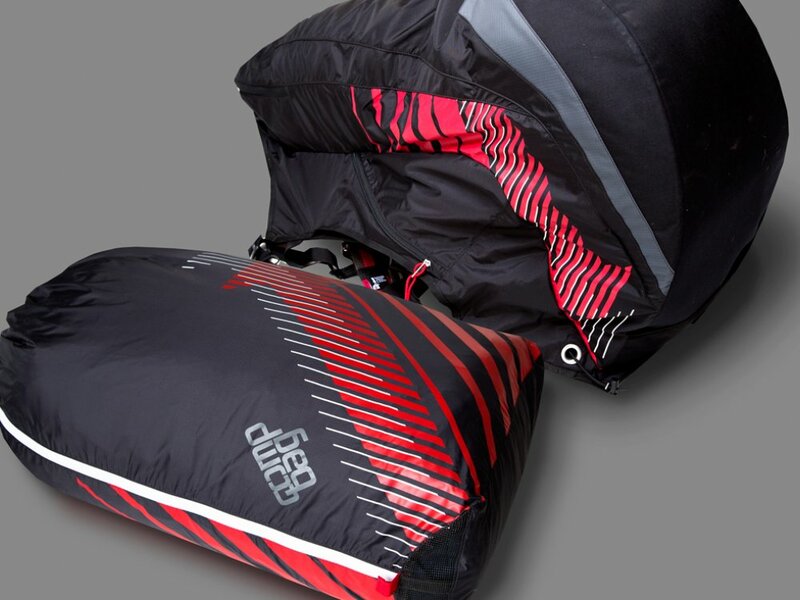 An efficient compression is also reached with the COMPBAG when used as glider inner bag. The COMPBAG is available in two sizes S/M and M/L – Order now!